Like a madman with a razor in his hand". It's no accident that he put these words as an epigraph to one of the chapters in his memoirs. He could have put them as an epigraph to his whole life. The unknown writer, the unknown philosopher, well-educated and spiritually strong. He took part in many events that sent shockwaves through Russia in the 20th century. However, his name has just started gaining wider recognition. When writing his memoirs, Grigory Grigorov pointed out the following milestones of his life: From 1923 until 1927 he lived in exile without being arrested. For five years his every step was carefully monitored by the State Political Directorate, also known under its Russian acronym GPU. In the period starting from 1928 and ending in 1952 he received serval prison sentences with the total prison term equal to 29 years. He was accused of counter-revolutionary activities and Trotskyism (i.e. support for Lev Trotsky who was regarded as an opponent to Joseph Stalin). Grigory got his last prison term in 1952, when serving the previously given ten-year term in a labor camp. All in all he spent 20 years and a half in prisons and labor camps. Grigory was released from prison ahead of schedule twice (for the first time in 1930 from the Siberian exile six months before his term would be over, and for the second time in 1955 from the concentration camp eight years ahead of schedule). From the end of 1941 until the middle of 1944 (i.e. for two years and a half) he stayed in Finland as a prisoner of war. In 1940-1941 and in 1955-1956 he lived under close scrutiny of the Ministry of Internal Affairs and the Committee for State Security (also known under its Russian acronym KGB) and was deprived of the right to live in many Russian cities and to be engaged in activities which had anything to do with ideological issues. Having pointing out these milestones, Grigory drew the following conclusion: "It is widely recognized that the most productive age lasts from 16 years old until 75 years old. Five years of my life were devoted to pre-revolutionary underground activities and military service in the Red Army during the Civil War. Taking into account all the years I spent in jail and labor camps, it means I could live productively, doing the work I love, for only 17 years and a half, including ten years starting from the age of 65 until the age of 75. That's a huge tragedy for any person, particularly for a creative one". Grigory was an exceptionally gifted man. He knew Latin and was fluent in German. He remembered miscellaneous quotations from the Roman and Greek classical literature and Heinrich Heine. He was fond of reading and listening to music and had impressive vocal skills. After the Civil War Grigory studied in the Institute of Red Professors and was appointed professor of philosophy when he was 25 years old. In the meantime, very soon, with the advent of Joseph Stalin and totalitarian state, all his aspirations were ruined. 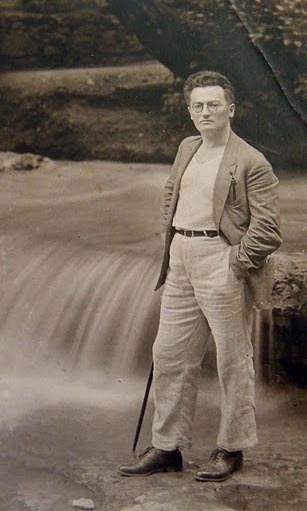 When persecutions started, Grigory realized that he would not be able to publish his literary and philosophical works. Grigory left a detailed description of his life as intertwined with violent and unimaginable events that rocked Russia and the Soviet Union for many years. His memoirs cover the period starting from 1905 and ending in 1983. 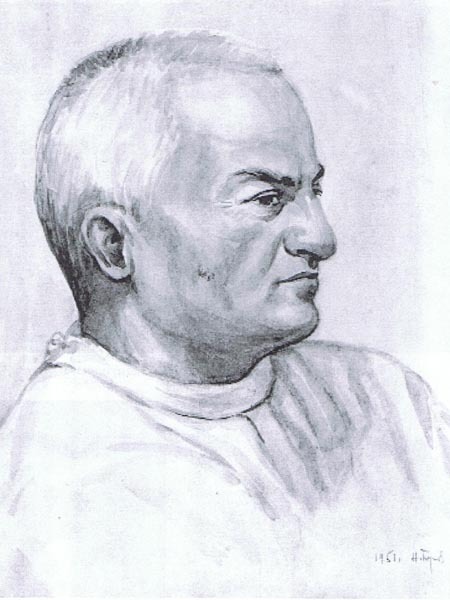 Grigory Grigorov was born in 1900. Very few people of his generation managed to simply live through the entire 20th century until our days. He survived, wrote memoirs and made honest life conclusions. He came to Israel in 1989 and spent there the last five years of his life. The sad irony of the situation is that he could have come to Palestine 70 years ago, had his life taken a different turn. He was 16 years old when he came to the city of Ekaterinoslav, presently known as Dnepropetrovk, from a little backward town. He was so amazed with what he saw that used to take long walks around the city. Once he got into a poor district. Presumably it was a wage day. He saw a beautiful young woman some 20 meters away from him. She was tugging at the sleeve of a tall dark-haired lad, persuading him to go home. In response to her endearing words he smashed her in the face. "I felt blood rushing through my head", Grigory said. "I lost self-control, rushed to this guy and pushed his belly with my head". All of a sudden Grigory felt piercing pain, with someone's sharp teeth sinking into his cheek. He saw blood dripping onto his shirt, turned around and saw that same woman he was trying to defend. A crowd started gathering around them. Two young passers-by saved Grigory from the brewing trouble. 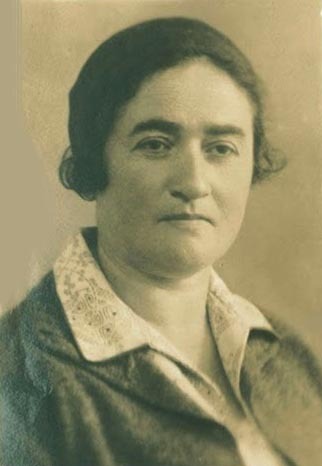 One of them was Moulya, i.e.Abraham Shlonsky, who would later become a well-known poet and translator in Israel. They became friends. Soon Moulya started helping Grigory remove gaps in education, taught him foreign languages, history and literature. They had heated debates. Moulya was trying to persuade Grigory that Jews should take their own path: "We need to stop serving other nations and enrich their economy, culture and science. It's high time that we have our own writers, scientists and artists". However Grigory remained steadfast and regarded Zionists as idealists with rose-colored glasses. Their life paths diverged. When leaving for Palestine in 1921, Moulya asked Grigory to come with him but Grigory stayed in Russia. He continued to cherish revolutionary illusions, believing that eventually revolution would lead to freedom, equality and brotherhood. 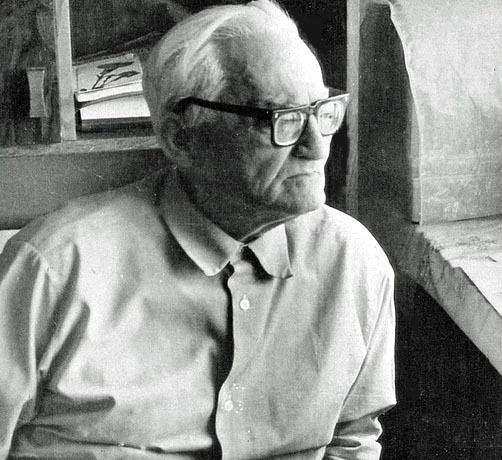 He would be arrested for the first time in two years, but he would recollect Moulya's words only in 31 years, in 1952, in Norilsk labor camp, when he would be accused of Zionism and sentenced to ten more years in prison. By that time he already knew that the state of Israel had been founded and that it went through its first war for independence. "Only at that moment, lying on a plank bed in a concentration camp, I realized that social revolutions could never keep Jews free from humiliation and would never bring them equality and human dignity". Who knows what would have happened, had he left with Abraham Shlonsky in 1921. He could have become a well-known Jewish philosopher, with his name being added to Israeli encyclopedias. But his life took a very dramatic turn. Grigory managed to withstand all the ordeals that befell him and remained faithful to his principles. He reconsidered all the events he had witnessed and gave them a very detailed description. 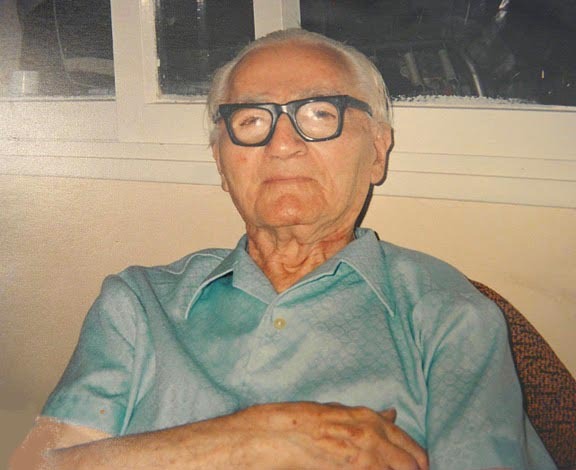 In 1989 his family left for Israel, where he lived for the last five years and died peacefully in 1994, bidding a light-hearted farewell to this world, on the very eve of the 21st century. "Millions of people slaved away in GULAG labor camps, worked hard and died. Was it pure luck that I survived or something helped me?" While growing old, making life observations, reading and contemplating, he wanted to understand whether it is possible that numerous victims and sacrifices taught Russian people nothing. His memoirs contain three thousand pages and they are unique, as is spiritual life of this remarkable man. Until he was 20, his name was Gershele Monastirsky. He was born in the little town of Starodub located in the Chernigov region to a hard-working family that had many children. He had vague memories of his great-grandfather on his mother's side who died at the age of 102. Right before his death he lit the candles, lay down and passed away peacefully. His grandfather on his father's side lived in the village next to the monastery, and that was the origin of his family name. Gershele morphed in Grigory Grigorov in 1919, when he fought in the rear of the White (i.e. pro-tsar) Army, executing tasks given by the underground organization headquartered in Ekaterinoslav. In order to understand what helped Grigory survive physically and spiritually, retain the ability to analyze both global events and his own mistakes, it is necessary to look through the list of quotations he collected over his life and wrote down in columns one after another. These wise thoughts helped him fight despair and remain hopeful. The first quotation refers to words his mother Rachel used to say: "There is no way to escape your destiny". These words are followed by quotations from the classical literature: "On what slender threads do life and fortune hang" from Alexander Duma, "Courage lost, all is lost - better you never born" from Johann Goethe, an extended quote from Prometheus, a poem written by George Gordon Byron: "But baffled as thou wert from high, / Still in thy patient energy, / In the endurance and repulse / Of thine impenetrable spirit, / Which Earth and Heaven could not convulse, / A mighty lesson we inherit..." For whom did he write down these quotations? Only for himself? Or probably for his grandchildren and great-grandchildren? Or may be for his future readers as well? These quotations reflect complex contradictions of human life. What's the best way to survive? Is it better to surrender to one's fate and circumstances that frequently develop without our direct involvement? Is it wiser to humbly accept the way things unfold and resign oneself to other people's intentions? Or a man should step against unfavorable circumstances, bearing in mind that his consciousness, will and energy are overwhelming. It might seem idealistic and even naive now, but when Grigory was young, he chose Prometheus as his role model, the hero of the Greek mythology that brought fire to the mankind in defiance of orders given by the gods from Mount Olympus. For Grigory, this character was an example of free spirit, strong will and ability to withstand one's fate. "When I was young, I quite often had to make fast decisions whether to hope for the best and do nothing or to take quick actions to save my life. I am not talking about war, when death is always lurking behind, but somehow you never think that a stray bullet can put an end to your life. I am referring to situations when you can die because of your own mistakes or weakness, when you can rely only on your own strength, self-control and stamina. I will now tell you about a couple of very tight situations I went through when I was young. The first one happened in 1919. I received an assignment from underground authorities to go to Sevastopol by train to set up links with soldiers of the Black Sea fleet and local workers. Officers entered the railway car in Alexandrovsk town and began checking passports. They were looking for Jews and for commissars. I was both a Jew and a commissar. I was very nervous but did my best to remain unflappable and pretended I was reading a book. The underground authorities had given me good ID papers, but the officer began scrutinizing me and finally asked to say the Russian word "kukurusa" (corn), expecting to hear a throatal r sound typical of the Jewish dialect. I pronounced this word clearly with distinct roaring r. The officer let me go. But what would have happened had I pronounced this word incorrectly? Another situation happened when I was taking gold, silver and other valuables to Kharkov with a group of soldiers from the Red Army. These precious metals reserves were packed in bags and loaded into sealed railway cars. At Samoylovka railway station we were surrounded by the horse detachment headed by the gang leader whose name was Farther Knysh. There were three hundred people in this detachment armed with sables and rifles. Farther Knysh cried: "What is your cargo?" The myriad of thoughts sped through my head: what should I answer? Then I replied: "We are taking killed soldiers to their relatives". Farther Knysh ordered his horsemen to pull off their hats as a sign of respect for the dead and crossed himself. All soldiers began crossing themselves, too. "Good luck, boys", he said. And his detachment rode away towards Pavlograd town. But what would have happened, had Knysh told us to open the railway cars? What saved us? Keeping self-control, thinking fast and knowing psychology of peasants who gathered in different gangs in those tremulous times. There was another tricky situation in my life when I thought there was no way out and was already trying to imagine how my poor parents would take the news I had been killed. I was going to Sevastopol for the second time and at Sinelnikovo railway station I had to change trains. That's where I was betrayed by a medical attendant who had known me before as a head of the political department at a hospital in Ekaterinoslav. Soldiers from the punitive division put me suspended in air with my arms tied, hit me with ramrods and whips, insisted on my saying who my friends are. They went on torturing me for several days. When I was losing consciousness, they dragged me into my cell and poured cold water onto me. The next day torturing resumed. I either denied everything the traitor had told them or kept silence. I thought there was no way out. All of a sudden the investigation stopped. The army headed by Farther Makhno took hold of the city in a swift assault. Makhno's followers destroyed the prison doors and set us free. What saved me this time? I believe both luck and self-control, the ability to handle physical pain and tortures". 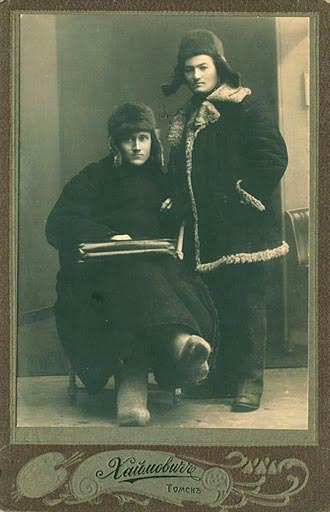 Grigory got acquainted with his future wife Dina in 1921. She was eight years his senior. 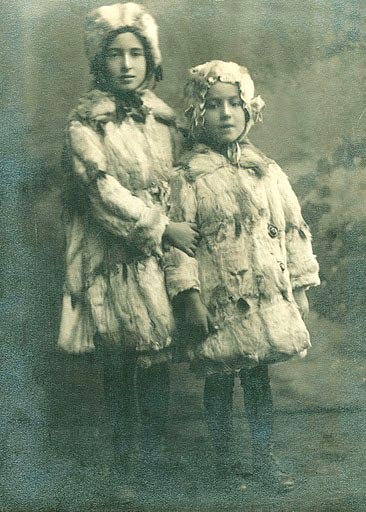 She was divorced and had two daughters, Vera (nine years old) and Polya (seven years old). He was 14 and 12 years older than his step-daughters, but he would become a devoted farther for them for the rest of their life. He was enraptured with Dina: "A strikingly beautiful woman was standing in front of me with that air of feminine beauty described in the Bible. There was inner glow in her smiling brown eyes. Her face was absolutely pure, with no traces of makeup. The way she behaved and talked was simple and free of coquetry. At the same time there was something eye-catching about her. You could feel inner strength". They would be arrested together in 1934 and would be declared "the enemies of the people". By that time besides from Vera and Polya they would have their common seven-year-old child, son Vissarion. They would be called "children of the enemies of the people". At first Dina and Grigory would be allowed to stay together in a labor camp but later they would be separated. Dina passed away in 1972 aged 81. "My wife was one of those rare people who managed to keep human dignity and high moral values under the beastly Bolshevik regime. I take off my hat to my wife, a remarkable woman, my dear and faithful friend. She is the one I address the lines written by the Russian poet Mikhail Lermontov: "Under the same star, I am sure, / We both crossed the worldly rims; / We stepped along same road poor, / And were deceived by same false dreams." He survived through all the ordeals, Lubyanka, Butyrka, prisons, exiles, solitary confinement, hysterical screams behind the prison wall, punishment cells, beating, hunger strikes and cellmates' death. In 1934 he was accused of organizing the anti-Soviet movement and of inspiring false ideas among students whom he taught philosophy. Authorities said he had corrupted young people ideologically and encouraged them to act against the leading political party. Grigory told the investigator: "You wrote this mean opus, so you should sign it, not me". He was nearly killed. He repeatedly lost consciousness because of beating and expected they would execute him through shooting but instead he was sentenced to five years in labor camps. He survived again. "Metaphorically, this arrest and interrogations proved a certain gate that took me to the sinister world commonly known as Gulag Archipelago. Above this imaginary gate I would put a line from the Divine Comedy by Dante Alighieri: "From thy heart banish fear: of all offense I hitherto absolve thee". Grigory realized very soon that his previous prison experience was of little help. A lot had changed in the way the punitive system worked since he came back from his exile in Siberia four years ago. To summarize his survival in soviet prisons and concentration camps, Grigory described the rings of the hell created by Joseph Stalin and his proponents. According to Grigory's estimates, Stalin's hell could be roughly divided into ten rings. Future generations should be patient and attentive to what this man wrote about not to repeat past mistakes. He wanted to be heard so much. He wanted his descendants not to lose faith, to resists fear and hardships and to remember that life is the ultimate value. First ring: prisons, investigation, excruciating interrogations at nights, false witnesses, beating, punishment cell. Second ring: transporting of prisoners, walking in chain gangs 25-30 kilometers a day, escorting soldiers, frequently drunk and violent, crying: "One step right, one step left, we will shoot without warning". It is impossible to get used to it. You remain tense all the time. Transporting of prisoners in vessels along rivers, usually locked inside orlop decks below the waterline. These ships reminded a floating condemned cell. One foul-smelling bucket for several hundreds of prisoners to be used as a toilet. Hundreds of detainees died because of diseases. The walking dead crawled from orlop decks at the end of such journeys. Third ring: transfer centers. This is where a lot of transportation routes crossed. And this is where particularly brutal and large-scale fights happened between criminal and political prisoners. Fourth ring: concentration camps. Common works until prisoners are completely exhausted. Some of them died while working. Fifth ring: heavy security barrack. Sixth ring: internal prison and punishment cells at a concentration camp. Penal colony. Seventh ring: diseases and hunger. A lot depended here on a prisoner's genotype, i.e. heredity, stamina, spiritual strength, ability to endure diseases and hunger and not to despair. Eighth ring: criminals. It was possible to stand against them with relative success if gathering into groups. Grigory was locked into a cell with criminals several times intentionally, in order to break his will. Some prisoners found this ordeal particularly harsh. Ninth ring: haunting threat that detention would last forever, the sense of hopelessness for many years, that caused serious psychic disorders and death in the long run. Tenth ring: everyday examination of one's will, need to defend one's human dignity, to withstand moral corruption and emotional debilitation. Without these efforts death approached unnoticed. A lot of people died because they could not stand the general debilitating atmosphere of a concentration camp. They just got morally broken, collapsed spiritually and died. Having described these circles of Stalin's hell, Grigory added a line from Dante's Divine Comedy that summarizes what he had lived through and described above: "What fortune or what fate / Before the last day leadeth thee down here?" Sometimes it was better to die rather than to remain hostage to this hopeless never-ending slavery. "I believe that Jews that perished in fire when defending the Holy Temple in Jerusalem from Roman troops, or rebels led by Spartacus, or Masada defenders who committed mass suicide after killing their children and wives, they all wanted to be free. They opted for death to avoid slavery. These heroes made their mark on the world's history, but millions of slaves who ended up in Gulag, worked hard and died without being mourned. I doubt that anyone could now tell how many people disappeared in the icy wilderness of tundra and taiga, in dark waters of Siberian rivers". As a historian and philosopher, he was trying to understand the ultimate reason that would explain why so many Russian people ended up in Gulag. Having carefully read researches on the Russian history by Vasily Klyuchevsky and Vladimir Solovyev, he made the conclusion that this reason is deeply rooted in Russia's past, national psyche and mentality. When completing his memoirs, he realized that even the detailed description of the everyday life in concentration camps would fail to explain what prisoners felt being suspended in limbo, between life and death, ready to die any moment. this is why Grigory was searching for a metaphor that would make it clear to people unfamiliar with Stalin's hell what it was like: "For many years, I stayed pressed down by a huge rock, as if it were a gravestone. I could breath, think and even move a little bit, but at the same time my soul became as hard as stone. Fear was obviously a bad advisor in those circumstances. I understood that any awkward move could make this gravestone collapse and bury me. I managed to survive, I was set free. I kept interested in life, science, art, poetry and literature. I am even writing memoirs. And all these years I've been trying to figure out what helped me stay alive. I was endowed with good health, stamina, ability to withstand extreme pain, exceptional memory and analytical mindset. All these qualities were key to my survival. Which of them developed thanks to my parents, whom I loved and respected a lot? Quite many, i.e. will, priority of spiritual values over physical property, diligence, willingness to do any work, including hard and dirty one, frugality, modest habits, desire to learn, respect for knowledge and science and self-respect, which is probably the most important one. I was seriously engaged in philosophical studies before I was arrested in 1934 and was very much interested in philosophy. I believe this helped me a lot when I was confronted with horrors in prisons and concentration camps. When locked in solitary confinement, I began contemplating about philosophical systems developed by Baruch Spinoza, Immanuel Kant and Georg Hegel. That helped me get distracted, become oblivious to harsh reality and depressing thoughts. This is when I fully realized the deep meaning hidden in the widely-known expression of the French mathematician and philosopher Rene's Descartes "Cogito Ergo Sum" (I think, therefore I am). That's true, a man can be taken prisoner, shackled and isolated, but if he keeps on thinking constructively, it means he keeps on living. And here is another biographical detail, which may seem insignificant at first glance. I was fond of reading since I was a small boy. I read poems, novels and plays. I knew a lot of literary pieces by heart. I remember reading this line in one of Goethe's literary works and it became my guiding star: "Courage lost, all is lost - better you never born". I understood its deep meaning when staying in prisons and labor camps. Sometimes I saw that my cellmates were growing desperate and irritable and it was hard for them not to kick up a row. At such moments I began retelling either a novel or a play, and as a rule it had a strikingly pacifying effect on everyone, particularly on prisoners sentenced on criminal charges. They were very fond of the novel Les Miserables written by Victor Hugo". "When the Second World War started I was taken prisoner by the Finnish Army and spent two years and a half in Finnish labor camps. This captivity was very unusual as I was allowed sometimes to leave the camp, to stay in Helsinki and to see how Finnish people live. They were free people of a democratic state. This world was arcane to me, a man born in the tsarist Russia and a citizen of the Soviet Union. The values underlying their life were strikingly different. Personal freedom, human dignity, equal rights and the rule of law were of paramount importance. Since then I have had an opportunity to compare a Soviet citizen with people from a democratic state. Joseph Stalin died years ago, but the system he created is still in place, though slightly improved. Serious changes are not within sight. The country lacks political will to make radical changes. The brightest people, those who were spiritually strong and brave enough to oppose suppression, were killed in droves. And what does the Soviet society look like today? Millions of devastated families and crippled lives. Millions of those who were eventually released from concentration camps but remained crushed, both physically and spiritually. Millions of former investigators, false witnesses and state officials. There is little hope that this sort of society would be able to soon take in ideas of human rights, supremacy of law, moral values and democracy. And what about the state system? It proved low-efficient, and even more so, nonviable and self-destructive. There are no forces that would encourage high productivity, especially as far as agriculture is concerned. Before the revolution which happened in February 1917, Russia used to supply grain to Europe. In the mid-1960s, the Soviet Union was a net-exporter of grain. Corruption, nepotism, protectionism and abuse of alcohol are rampant. Rich natural resources fall prey to predatory extraction tools. If this situation persists, the country will face economic collapse and complete chaos, which will unfold along with the frantic search for solutions. This might result in greater troubles. A quotation from the Russian writer Vladimir Korolenko suggests itself here: "There are gaping abysses in social movements, like in every ocean... Who knows them? Who managed to uncover the mystery that defines the movement of the human ocean? Who could tell with certainty that there is no threat of a new tsunami that would rise anew as unexpectedly as before and with a vengeance?" There is little to add to these prophetic words. Few events might seem more grisly than those that happened to Russia in the 20th century. I would recommend my children take these words very seriously". Which in my spirit dwelt is fluttering, faint, and low. The first volume of Grigory Grigorov's memoirs "The Twist of Fate and Tyranny" covering the period from 1905 until 1927 was published in OGI publishing house in Moscow in 2005. The second and the third volumes were published in Israel in 2008 and 2010 respectively (with the subtitles "Memoirs, 1928-1972" and "The Russian History, the 20th century: Highlights and Analysis"). P.S. Big thanks to Katya Levchenko for translation. 1919 год, Севастополь. Знакомство с семейством миллионера Шпицглюза.